Initially, I ignored this astrological event. I couldn’t be bothered and honestly, I didn’t want to admit that astrology could have that kind of power over the events in my life. That is what most people say when they don’t want to know something. I’m no different. Things have changed since then and I have found there is a healing opportunity for us when Mercury is at rest or sleeping. When a planet goes retrograde it appears to be stopped or going backward in the sky. The impact it has is as if the monkeys got out and started running the zoo. There is chaos and confusion and destruction. In addition, when the monkeys are put back in their homes, many if not all the changes they made get undone because they were not what we wanted in the first place. This is why we are advised not to make big purchases, sign contracts, accept a job or do anything really important during the 20 to 25 days of Mercury Retrograde. Most of them will fall through or there is buyer’s remorse. 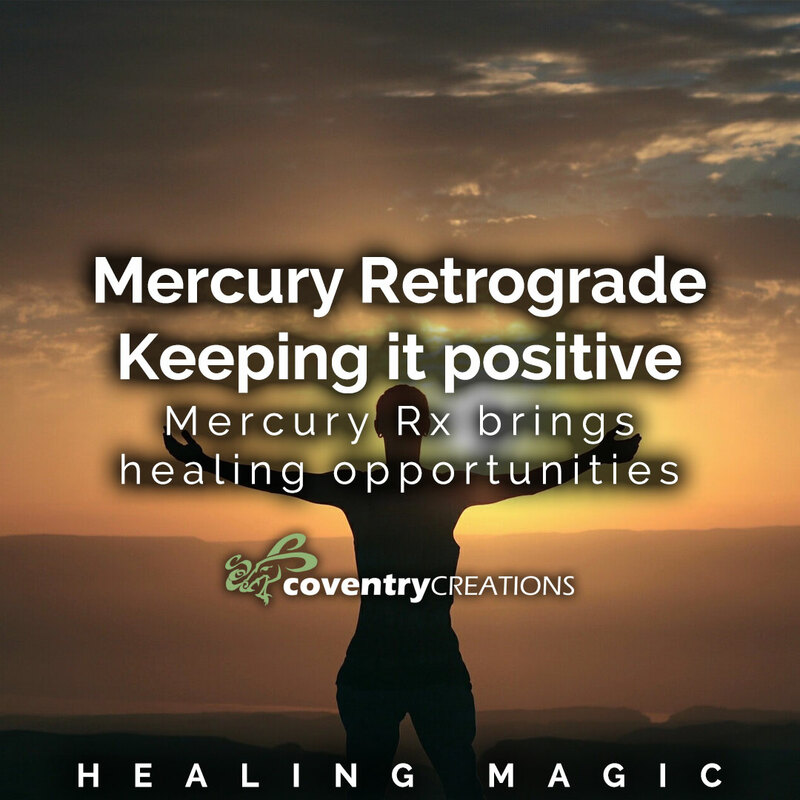 For more information about mercury retrograde please read these great articles. Instead of grousing about MRx, now is a great time for looking back, re-connecting and revisiting events, especially where we did not have closure. It’s wise to take this time to think about the past and what could have been done differently rather than press forward, expend way too much energy and failing anyway. Every time you put the prefix re in front of a word you are handling an MRx phase properly. When you mimic a retrograde planet by sleeping, resting or going back and reviewing you are in alignment with the spirit of its energy. Plus you won’t be frustrating yourself by swimming against the cosmic stream. Now is the time for a great healing opportunity. We are going to redirect a destructive royal pain in the past so it no longer has an influence in your life. We will do this with candle magic and your intention. You will need a Needed Changes Blessed Herbal candle, candle holder, paper and pen, a pin or nail. Plan to do this exercise when you have some privacy without interruptions. Create your sacred space and connect to the earth. Invite in your beloved guides to love and protect you. Reflect on your habitual negative emotion. The one that jumps in as your first reaction. Is it pessimism, anger, jealousy? 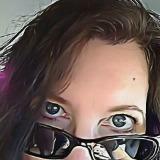 Are you still hurt from an old rejection or abandonment? Mine was cynicism. I was very critical of everything. This went way beyond critical thinking. I was finding fault with just about everything. It really kept me from moving forward and being happy. Allow yourself to move deeper into that emotion. What is underneath it? Be brave. Underneath my cynicism was shame. It was rough. Shame is hard to grab a hold of. It’s pretty painful and I had to face the knowing that I screwed up, a lot. When looking at the base emotion you may remember something that happened that started it all. You don’t need to relive it, just remember that it happened and what feeling it triggered in you. Ask your guides to hold that for you. Don’t incapacitate yourself, you have work to do. Now write your base emotion on the candle. I wrote shame on my candle. This is what you are going back to so you can let it go. Call upon your guides to take authority of the base emotion you need to release. They may also need to take authority over some negative teachers (entities), wounded soul parts and other people’s wounded soul parts. In your meditation imagine you are walking up a marble staircase in a gorgeous temple. Your guides are coming along and bringing all the components of your base painful emotion. They will help you take all of it to the altar of God or your name for the being that created you. Place all this stuff there and ask for help with it. You will be guided as to what you need to do. Do you need to face a truth you missed? Do you need to forgive or ask for forgiveness? Listen. The longer you spend at the altar following the guidance you will notice that the ‘stuff’ is dissipating and dissolving. Keep at it until it’s all gone. I had to do a lot of forgiveness work and I had to mean it. I also had to get a lesson on loving myself. Eventually all my energetic burdens faded away. Take a dip in the healing waters. Notice a pool of water is there next to you. It will show up when you are done at the altar. Step into the pool and release all the pain you’ve been carrying with you. As the pain flows out of you like mist or fireworks, ask that the pure white light fill you. The exchange of energy will help you feel better on every level. After you are done in the healing waters, thank your guides and your creator and finish your meditation. Open your eyes and write your name and a word that is opposite from the one you etched into the candle on a piece of paper. For me the opposite of shame was accepted. You will find your word by reflecting on your trip to the altar. Place that piece of paper under the candle holder and light your candle. This is the physical ritual that represents the mental ritual you just did. Let you candle burn all the way down then finish your release by throwing out the left over candle stub and burn the paper. You do not have to burn the candle continuously. Practice safe candle burning. Last step. After your Needed Change candle is all gone, light a Sweet Grass World Magic or a Ganesh World Magic. Light it and let it fill you with joy and enthusiasm for life. Let this one light up your life for many days to come. It’s beautiful how long this candle will last. it will keep reminding you that the joy you have created in your life is not fleeting or temporary. For more self- healing meditations see Healers Almanac by Patricia Shaw and DIY Akashic Wisdom by Jacki Smith and Patty Shaw. For more candle magic rituals please check out Coventry Magic with Candles Herbs and Oils by Jacki Smith. All three books are available at www.coventrycreations.com.